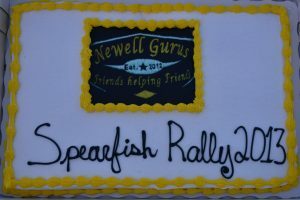 NewellGurus.com members are devoted to helping each other maintain their coaches and to sharing the excitement of Newell ownership with others. 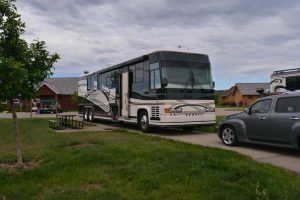 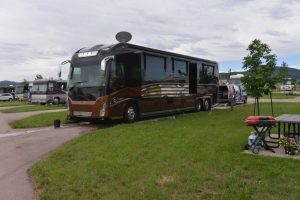 Tom McCloud, with the assistance of several others, organized a NewellGuru Rally in Spearfish, South Dakota at the Elkhorn Ridge RV Resort. 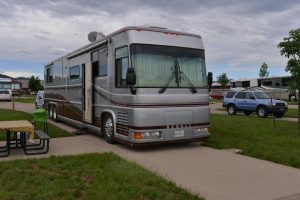 The rally was officially June 22-28, 2013 but attendees began arriving on Friday the 21th. 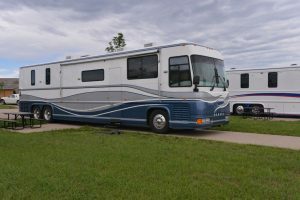 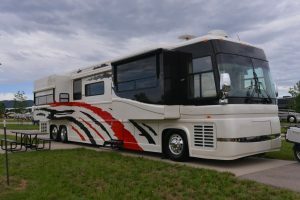 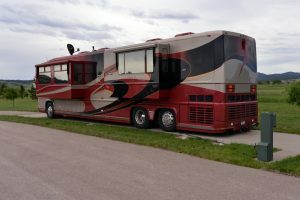 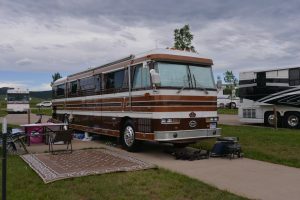 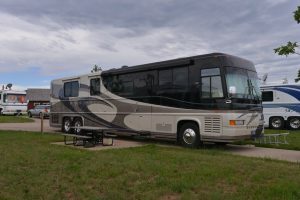 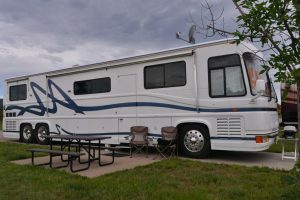 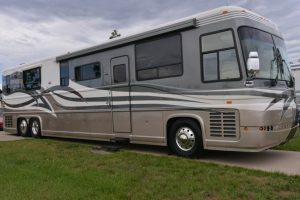 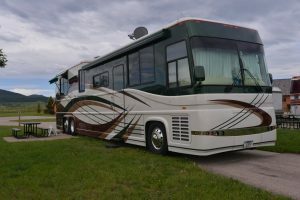 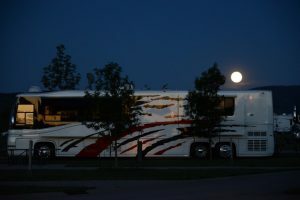 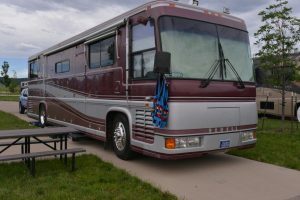 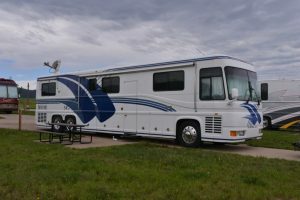 The rally was a tremendous success with about 30 coaches attending, including a couple of Prevosts, a Wanderlodge, a Foretravel and at least one Class B. 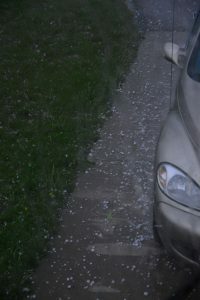 The rally began with a hail-storm although most were fortunate enough to have suffered no damage. 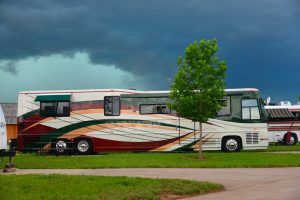 Anyone with a issue that they wanted solved were able to find someone to help them diagnose the situation and help them with a solution. 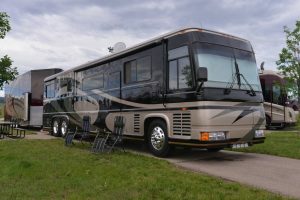 There were air-conditioners worked on, AquaHot issues resolved, drive shafts tightened, front ends tightened and generator issues worked on, and electrical problems diagnosed. 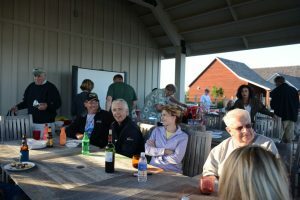 Pot luck dinners were well attended on several nights. 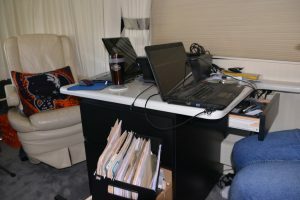 Open houses (coaches) were held two nights. 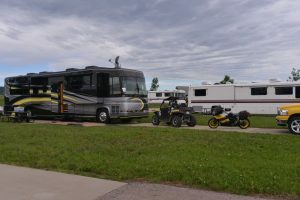 There were a number of presentations including Richard’s presentations on air conditioning and air suspension, Rudy’s AquaHot maintenance, Michael’s History of Newell, and John Clark’s presentation on preventive maintenance, generators and electrical issues. 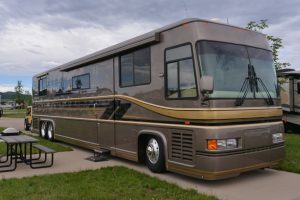 Newell had one of their coaches returning to the factory from the FMCA Rally that was displayed at the Gurus Rally.